Over 250 vehicles on display plus a host of attractions to make this a fun family day out. This year we celebrate the 60th anniversary of the Mini. 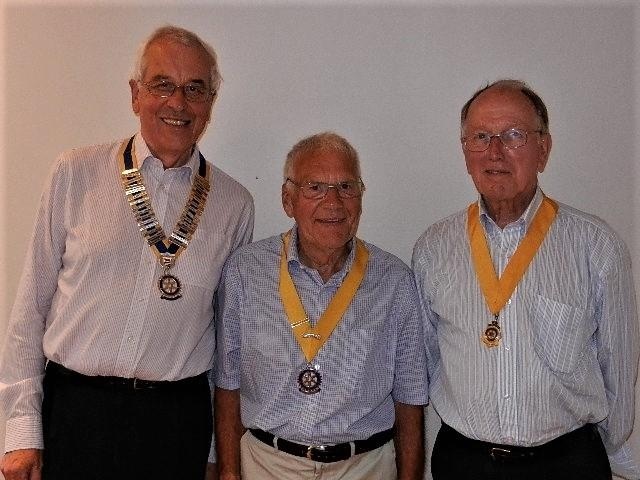 Rotary Club of Oxford Isis - Welcome! Rotary Club of Oxford Isis. We're a medium-sized club of some 30 members, a friendly and varied mix of men and women living in and around Oxford. We are a part of Rotary International, which is the world's largest community service organisation for business and professional people. Our Club meets two evenings a month at the Oxford Golf Club to plan projects, hear from inspiring speakers and to catch up with friends. Our goal is to support the community, whilst also having fun. The annual Cowley Classic Car Show is a good example of what we do. 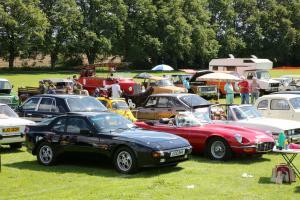 The Car Show raises money for charity but also provides a good day out for local people and classic car enthusiasts. Please look round the site to find out more about us. We would love to hear from you if you would like to get involved in the things we do. We very much welcome new members. Do please get in touch with me direct if you have any questions or might be interested in joining us. 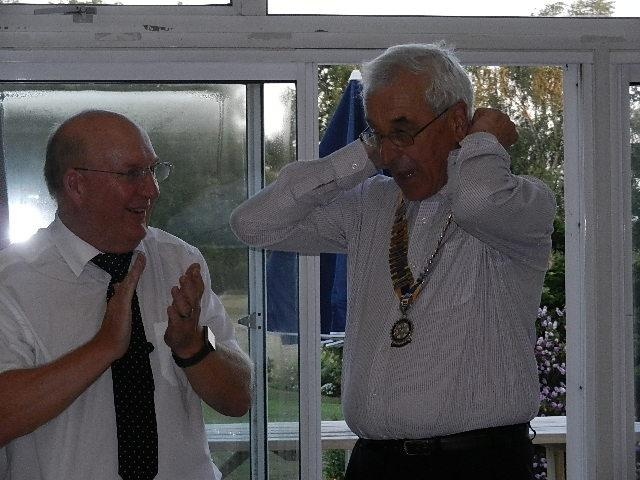 Past President Roger Long hands over to incoming President Bob Fitchett.